THE INTERACT CLUB OF JFKThe Rotary Club of Guam formally inaugurated the Interact Club of John F. Kennedy High School in charter presentation ceremonies held at the HongKong Gardens. The charter was presented to Craigh Trammell, club president, by Honorary Rotarian Governor Manuel F. L. Guerrero. 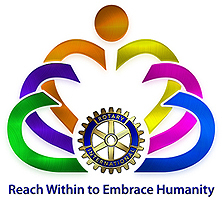 Sponsored by the Rotary, Interact clubs are being organized all over the world at the rate of almost two a day. Their purpose is to work together in world fellowship, dedicated to service and international understanding. At present there are more than 1,600 Interact clubs in 57 countries and on six continents. 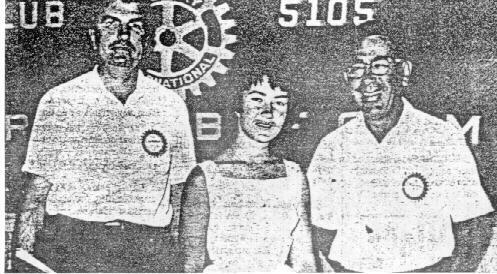 Chairman of the Rotary’s Interact Committee, Rotarians Carl Snodgrass, principal of John F. Kennedy High School, along with Rotarian Warren Wolfe were the two key figures in bringing the Interact Club to John F. Kennnedy High School. Its club is the first to be organized in a U.S. territory. In presenting the charter, Governor Guerrero expressed the hope that George Washington High School would be able to organized Guam’s next Interact Club. The newly-elected officers of the J.F.K. club are Craig Trammel, president; Rick Duck, vice-president; John Leon Guerrero, secretary; and John Taitano, treasurer. Other charter members include Al Lamorena, Francis Mendiola, Carl Dominguez, Tony Borja, Pedro Atilig, Vidal Manglona, Richard Andersen, Euugene Ramsey, Vicente Sian, Victor Gamble, James Basham, Geovane Camacho, Francisco Castro, Vincent M. Duenas, Robert Rasalan, Dwight Schwartz, James Daniel, Anthony Gill, Eric Jump, Rober Speidel, William Smith, Larry Crumliss, Robert T. Held, Jesus Luazan, William Means, Kerry Sullivan, Larry Turner. 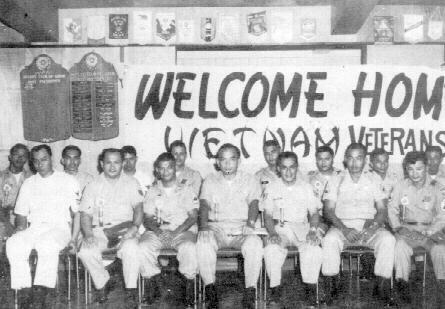 Henry Flores, Joseph Torre, Joseph Mendiola, and Joaquin Torre. These students were chose because of their demonstrated qualities of character, and leadership potential, as well as for superior achievement in academic and extra-curricular activities. As members of an Internet Club, they will engage in projects designed to served their school and community and to promote international understanding. 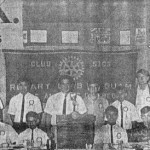 Just how much these students gained from their experience in Interact is not known, but it is known that Al Lamorena, Eugene Ramsey and others are now key figures in Guam; It is hoped that “Interact” can be rejuvenated in this area. One hardly suspects that so much could achieved for youth in one administration but that PP Phil was a true leader in this field is demonstrated time and again by an article appearing in the Guam Daily News on April 14, 1967. A delighted, and a delightful little island girl, Irene Savory, 19, won a four year scholarship, given by the Guam Rotary Club, worth $5,000 yesterday. The girl, a native of ChiChi Jima, will attend the College of Guam, under the new scholarship set-up by the Rotary Club, who now specify that the College of Guam will administer the funds, and the participant must study locally. The award presentation was made yesterday at the regular noon Rotary luncheon by Club president Phil Lomax. Lee Burklund heads up the scholarship committee for the Guam Rotary Club. Miss Savory attended the session with her sponsors, Lt. and Mrs. Charles Sutton, who is at the Naval Magazine. The live on the Naval Station. Next year, Miss Savory will stay with Cmd. And Mrs. Bonewitz, commander of the Naval Magazine. She will graduate from George Washington High School this year, where she has maintained a remarkable 3.92 grade average almost perfect. The nomination for the scholarship is handled by the College of Guam, with George Wilson, head counselor at the College supervising the selection, along with a Rotary committee. Miss Savory was born in Chi Chi Jima, and attended elementary school there. It is a tiny island in the Bonin Island chain that only has school through the Seventh Grade. It is seven miles long by four miles wide, with only 200 people. It is administered by the Commander of Naval Forces, Marianas, who serves as Governor. The Navy has set up a sponsorship program, so that these students who want to, or are capable of, furthering their education, can do so. Miss Savory is part Caucasian, from way back. Her great grandfather was a whaler from New Bedford, Mass. She also has Japanese blood, and speaks Japanese, as well as English, she has been on Guam for five years. Scholarship achievement awards and scholarship are being offered annually by the Rotary Club of Guam to fulltime students pursuing a bachelor’s degree at the college of Guam. The achievement award consists of a $100 U.S. Savings Bond and a Certificate of Achievement. It will be presented at the end of each school year to the highest ranking student in each class. The scholarships are for two juniors and two seniors who have maintained a cumulative grade average of at least 2.5 and who are recommended for financial assistance by the College Scholarship Committee. Each recipient will receive $500. Further information may be obtained from the Scholarship and Loan Officer in Building A at the College. 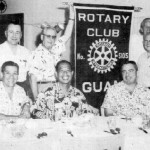 At the Guam Liberation Day celebration in 1966, the Rotary club of Guam played host to 16 Guamanian servicemen, who were air-lifted from their units in South Vietnam to attend the event. One of the men received a previously earned U.S. Silver Star Medical at a ceremony during the celebration.